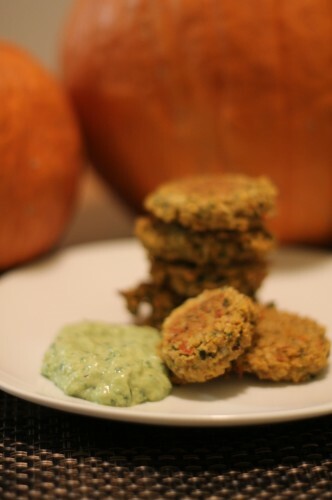 This little patties are a wonderful twist on my one of my favorite foods-falafel. They are baked instead of fried and include a special ingredient, roasted red peppers! 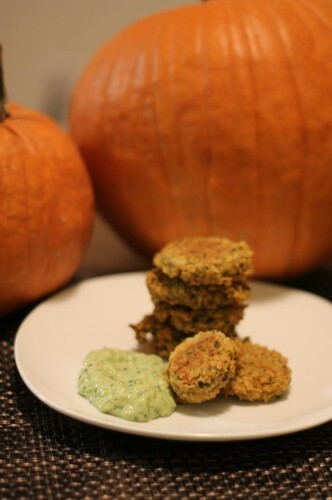 They are delicious with a yummy tahini sauce and are great on top of a salad, with pita or rolled into a wrap. Preheat oven to 425 degrees F. Combine all the ingredients in the bowl of a food processor; process until just combined, stopping to scrape down the sides of the bowl when necessary.. Form mixture into balls and place on the lined baking sheet. Press the balls down into patties and brush with olive oil. Place the baking sheet in the preheated oven and bake for 20 minutes, flip patties and bake an additional 20 minutes, until crisp and browned.